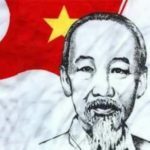 Ho Chi Minh was a Vietnamese political activist and Marxism-Leninism follower, the founder of the Communist Party of Vietnam, the head of the August Revolution, the first president of North Vietnam, the creator of the Viet Minh and the Viet Cong, philosopher, poet. 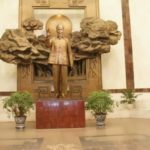 He was a powerful leader of Vietnam during a troubled period of that country’s history. 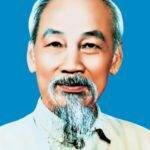 Ho Chi Minh (his real name was Nguyen Sinh Cung, also known as Nguyen Tat Thanh and Nguyen Ai Quoc) was born on May 19, 1890 in the village of Kim Lien, province of Nghe An, central Vietnam. His father, supporter of Confucian Patriotic Party, was the most educated man in the village. 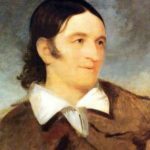 His mother died at the age of 32 when she gave birth to the fourth child. 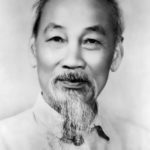 According to Vietnamese tradition, before entering school, Nguyen Sinh Cung received a second (official or “book”, name) – Nguyen Tat Thanh. In 1911, Tat Thanh using a false name joined the ship crew as a sailor. 30 years later he returned home. 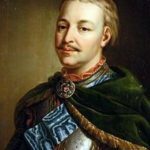 He visited America and Europe. 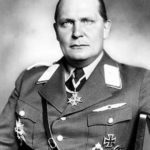 In 1916-1923 he lived in the US, UK and France. 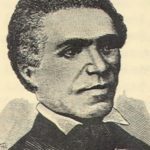 In Paris he took the pseudonym Nguyen Ai Quoc (Nguyen-patriot). 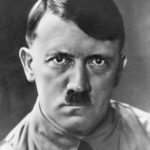 In 1920 he joined the French Communist Party. In 1923 he came to Moscow and worked in the Executive Committee of the Comintern (Communist International). He graduated from the Communist University of the Toilers of the East. On February 3, 1930 Ho went to Hong Kong and set up the Indochinese Communist Party (ICP). 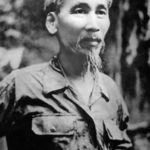 In 1941, he established a military-political organization Viet Minh to fight against the invaders and colonialists. 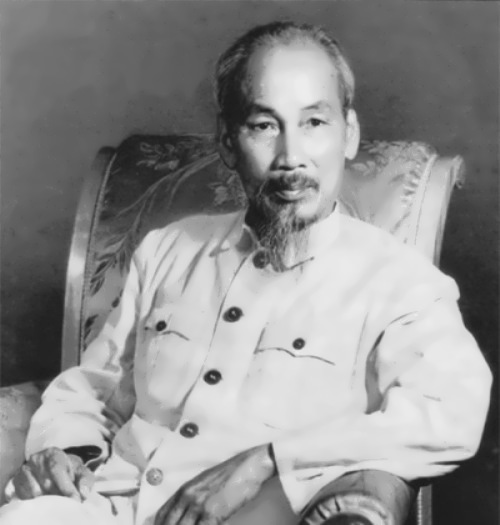 At the end of the war in 1945 Ho Chi Minh organized the August Revolution against the pro-Japanese puppet government. 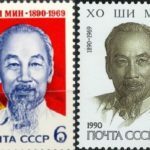 He was prime minister (1946-1955) and President (1946-1969) of North Vietnam. An anti-Communist was president of South Vietnam. Ho wanted to reunite the two halves of Vietnam. In 1955-1956 his government carried out an agrarian reform. In the late 1950s the industrialization of the country began. 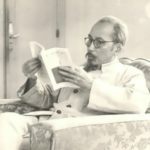 Ho Chi Minh died on September 2, 1969, in Hanoi, Vietnam. In 1975 the Communists won control of all of Vietnam. In 1947 Ho Chi Minh Order was established in Vietnam. 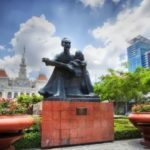 In 1976 the capital of South Vietnam, Saigon City was renamed Ho Chi Minh City in his honor. 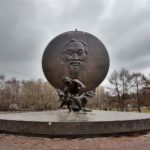 In 1990 a monument to Ho Chi Minh was established in Moscow. Chilean poet Victor Jara dedicated song El derecho de vivir en paz to Ho Chi Minh. In 1971, German composer Günter Kochan composed the cantata The Testament of Ho Chi Minh.